The Federal Trade Commission has been investigating Google for a year now, looking in part at whether Google is operating “fairly” in its search results. But if the FTC is really serious about protecting consumers, the agency may be better off taking a broader industry-wide look at search engine transparency and labeling practices. I head a small law firm in Washington, D.C., where I advise technology companies, including Google, on public policy issues. As an advocate for open Internet rules, I’ve spent many years working on network neutrality issues, and I also took part in the SOPA and PIPA debates, as one of the opponents of unfocused copyright laws. While advising Google on the FTC’s antitrust investigation, I have noticed an odd pattern: the companies complaining about Google’s actions all commit the same exact actions they complain about. If Google’s actions harm consumers, then so do its competitors. The competitors complain about some things that are not even a problem (such as using snippets of text in a search result) and other things that would be a problem if Google or any other company engaged in them (including deceiving users by mislabeling ads and search results). I am not alone in noticing the pattern nor drawing the conclusion that perhaps the government should investigate consumer harm across the search industry. Last week, Danny Sullivan, editor-in-chief of Search Engine Land, penned a letter to the agency, calling on it to re-evaluate and possibly update its search-engine disclosure guidelines. The 2002 guidelines recommended that search engines provide “clear and conspicuous” disclosure to consumers about whether payment affected both inclusion and rank of a product in a company’s search results. It also encouraged search engines to explain to users how its results are developed and displayed. In the pre-Google era, sites like Yahoo and AltaVista allowed websites to pay for more prominent placement, without clearly labeling such results as paid. Search engines such as China’s Baidu still allow non-transparent paid inclusion by websites. Sullivan thinks that many search sites have either forgotten or are actively ignoring the 2002 guidelines — and thereby misleading users. After Jeff Katz, the CEO of comparison site Nextag, wrote a Wall Street Journal op-ed accusing Google of not being transparent enough about its search practices, Sullivan explained that Nextag shouldn’t throw stones from its glass house. As Sullivan found, “the only way you get listed as a merchant in Nextag is if you pay to be there.” Nextag doesn’t clearly disclose that, and many consumers probably don’t realize it as a result. Sullivan’s letter to the FTC goes beyond Google and Nextag and discusses how disclosure for paid placement and paid inclusion varies from search engine to search engine. These labeling and transparency issues raised by Nextag and Sullivan are also at the heart of the FTC’s ongoing antitrust investigation of Google. Several of Google’s competitors have argued that Google secretly favors advertisers, purposely disfavors competitors, or “unfairly” incorporates specialized results, including maps, news, image and shopping results. Google responds that specialized results are useful answers for consumers, that it doesn’t let payment influence unpaid search results, and that it doesn’t act to hurt competitors. And Google notes that its competitors in general search embrace the same practices — Bing similarly integrates Bing Travel and Bing maps into its results. The best way for the FTC to help consumers may be to ensure that they know why they’re seeing the results they’re seeing. The FTC probably cannot do the two things competitors like Nextag and Microsoft most want the agency to do —prevent Google from displaying specialized results and maps alongside general search results, and second-guess Google’s algorithmic changes whenever companies complain about placement (as not every site can be listed first, by definition, and there is no metric for the government to determine “correct” search results). Even if the FTC did these things, we would still have the problem of some search engines ignoring the 2002 guidelines or being less than clear about when they’re displaying or promoting their own content. As Sullivan’s colleague Greg Sterling suggested, maybe the FTC should recommend that when sites like Amazon, Google or Bing display links to their own services, they use some kind of clear label. Indeed, even independent experts advocating for an investigation of Google, such as Seton Hall law professor Frank Pasquale, have favored remedies that focus on search engine transparency and labeling. Such a shift in focus would permit the FTC to focus on a clear problem — a potential lack of transparency and clear labeling across all search sites — without imposing a company-specific remedy that wouldn’t address more pervasive issues. By taking a fresh look at its 2002 guidelines, the FTC could also engage in a collaborative, open approach to search transparency rather than adopting a narrow, enforcement-driven approach. A series of industry-wide workshops, for example, would greatly improve our understanding of the search market, enable more voices to be involved in the process, and help consumers make more informed choices about the companies with which they choose to do business. When the FTC issued the 2002 guidelines, it observed that consumer awareness of paid placements would influence which search engines consumers choose to use. 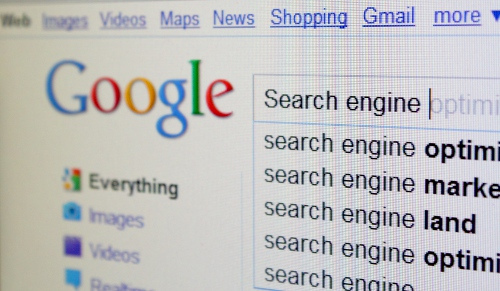 Consumer awareness about search results is just as necessary today as it was in 2002. The FTC owes it to Web users and search engines to provide updated guidance on what form and amount of transparency is adequate for search engines. Danny Sullivan has a point. The FTC should listen. Marvin Ammori is an Internet law expert. He heads a boutique law firm, The Ammori Group, that advises clients ranging from Google to startups. Previously, he served on the faculty of the University of Nebraska College of Law. Image courtesy of Flickr user MoneyBlogNewz. I agree with all except for this bit: “specialized results, including maps, news, image and shopping results.”. There are actually results to different query types. A map is the best answer to a location query, news is the best for topical queries, and products listing for product search. Classifying as them “specialized” limits search engines from innovating away from the blue links that already look outdated, in an era of “big data” and its numerous visualizations, links seem as the least efficient way of conveying knowledge pertaining to a large number of topics. So I’m very much against restricting search engines to links and classifying other search results as additives or “specialized”. Transperancy and this administration? surely you jest.